Quform WordPress v2 DocumentationFAQElementsHow do I hide Radio/Checkbox option labels? 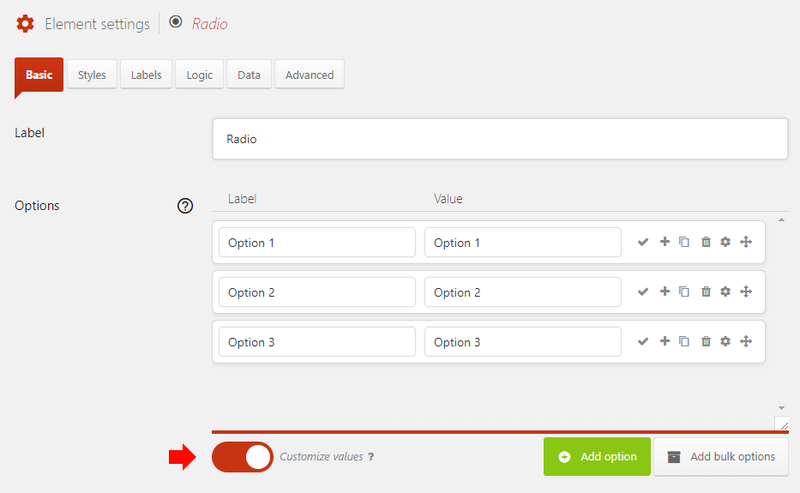 To hide the option labels for the Radio button or Checkboxes elements, go to the element settings and enable the Customize values option. Then set the option labels to be empty. 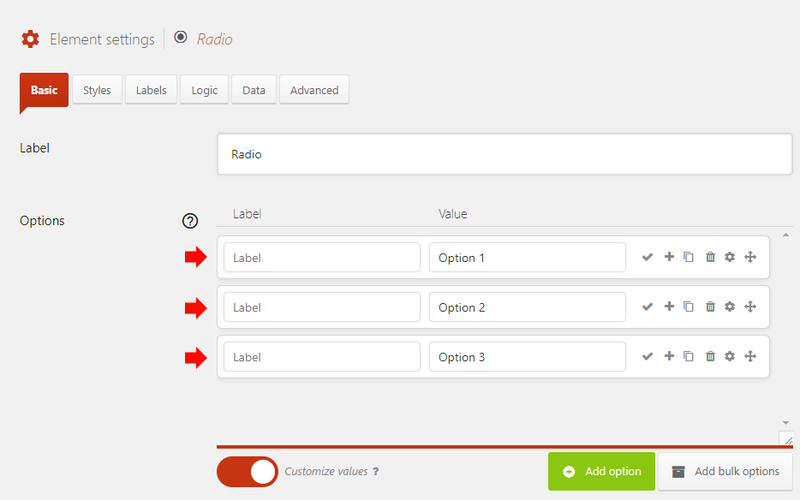 The labels will no longer be displayed in the form, and the values will be submitted.